Imagine you’re searching for a new checking and savings account, but are told that savings accounts aren’t available through the bank. What would you do? Likely go to a different bank. The same is true of insurance. There is a seismic shift in customers’ preferences for interacting with insurance agents and carriers—nearly 80 percent of consumers say they will use a digital channel for insurance interactions over the next few years. As consumers’ shopping channel choices emerge, carriers are positioning themselves to “Always Say Yes” to the customer by offering the products consumers need, when they need them, through their preferred shopping channel. The consumer-driven change in searching, buying, and servicing personal and commercial insurance already has transformed the industry. Online marketplaces have evolved to help insurance consumers research and buy insurance by connecting them either with agents or insurers through both traditional and digital channels. Innovative tools are being built, such as mobile apps for auto and home, location- and context-based insurance, and more, heightening consumer demand for personalized, comprehensive, and complete products and services. These changes are only the beginning. Forward-thinking insurers have begun to position themselves for continued transformation by integrating their traditional and digital distribution channels with new markets that help expand their offerings—without significant capital investments or unnecessary risk. Insurers are showing a willingness to not only compete in the open market against other carriers, but also to offer other carriers’ products in an effort to meet all of the customer's needs without owning all the risk. These carriers understand the need—and the economic imperative—to position themselves to “Always Say Yes” to the customer by fulfilling customers’ risk management and insurance product needs, regardless of product sources and through customers’ channel of choice. Growth-focused insurers recognize that owning the customer, not just the policy, is key to success in the rapidly evolving marketplace. 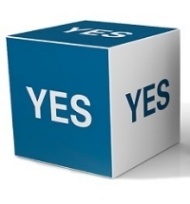 Be prepared to bolster the bottom line by positioning your organization to “Always Say Yes” to the customer. Download BOLT’s thought leadership piece, , to find out how.